Black Oystercatcher is a family-run wine farm at the cool southernmost tip of Africa. It’s here that these boutique wines are made by founder and winemaker, Dirk Human. Black Oystercatcher Wines offer crisp yet elegant, fruit flavours, formed by the cool coastal winds, the unique Elim soil and a distinctive wine-making philosophy. 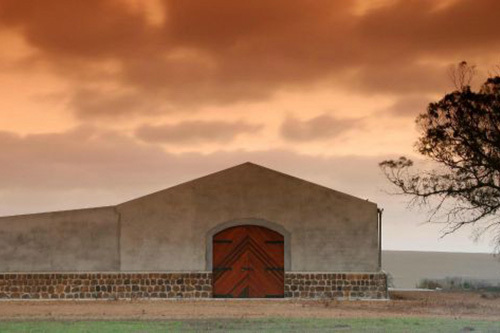 Strandveld Vineyards is Africa’s southernmost vineyard and winery. The foundation range, First Sighting, expresses the unique terroir of the various soil types and extreme weather conditions. 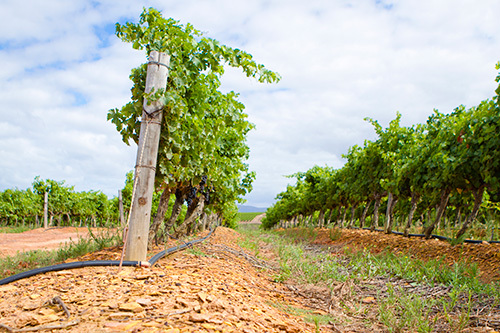 The Strandveld Vineyards range is crafted from only the finest grapes grown on very specific blocks on the farm. These wines are the ultimate expression of the time and place of their creation. The Berrio, also from Elim, has a strong tradition: to thank God each day for the wind. For The Berrio Wines, it is the cooling effects of the winds that blow from three sides that allow the grapes to spend more time on the vine. And that brings with it wines of great intensity and layered complexity. 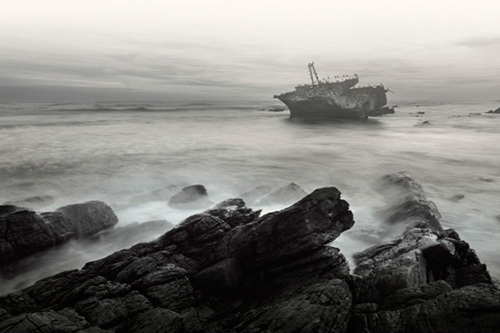 Ghost Corner Wines takes its inspiration from the extreme and mysterious landscape at the southernmost tip of Africa, where more than 130 ships have wrecked along the coast. And so the Ghost Corner vineyards make the most of the extreme climate, excellent growing conditions and cooling southeasterly breezes, to create award-winning wines. The Giant Periwinkle is a boutique winery created in 2009 when Pierre Jacques Rabie planted 616 vines in the town of Bredasdorp. The first wine was made in 2011. Today you can expect exclusive cool-climate wines, made with grapes of exceptional quality from this winery. Not to mention wines that are kept as natural as possible. 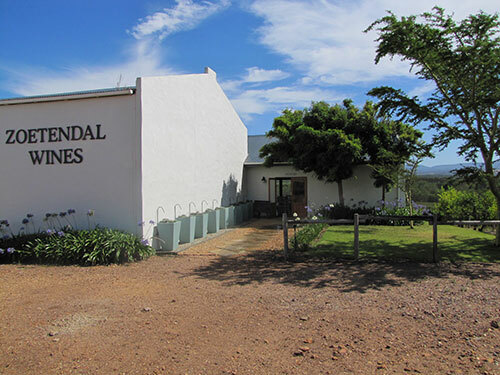 Zoetendal Wines was first established in 2004 by Johan de Kock, the previous owner of Zoetendal Farm. In 2015, the farm was bought by the Becker family. 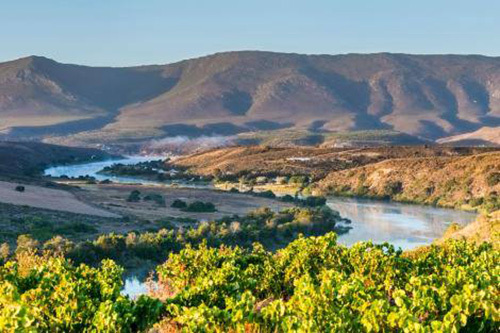 Recognising the value of the grapes from the Elim area – in particular the extraodinary Sauvignon blanc and Shiraz produced in Elim, Zoetendal Wines ‘moved’ to Du Toitskloof. Here the well established winery in Rawsonvile produces the crisp Zoetendal Sauvignon blanc and the ruby red Shiraz. Land’s End is surely one of the best-known brands to come from Elim. It was also one of the first, with Land’s End vines planted in Elim in 1996. Four years later, the first wine of origin Elim was released: a Land’s End Sauvignon blanc. 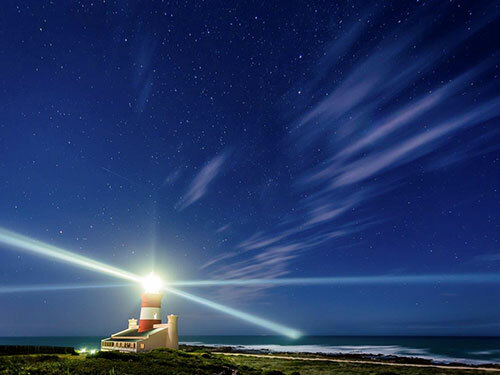 Today Land’s End is produced by Du Toitskloof Winery in Rawsonville – using the grapes from Elim’s cool-climate region. Sijnn Wines is an exciting range of Mediterranean varieties made from grapes sourced from young vineyards in Malgas. This area is known for its complex soils – with the Bokkeveld shale in various stages of weathering. These incredible soils give rise to wines that balance intensity and structure with aromatic complexity and finesse. Lomond from Gansbaai is known for nature-inspired wines reflecting a commitment to sustainable farming in the Cape Agulhas wine ward. For the Lomond team, the responsibility is to the soil and to the environment. And so Lomond Wines has taken a careful and holistic approach to viticulture, drawing the best out of the soil, and producing award-winning wines. The Drift are driven by a desire to make individual, superb quality wines with exceptional character. The wines are assiduously crafted by winemaker, Bruce Jack, using the grapes grown only on their farm in Napier – and capturing the extreme growing conditions that characterise the mountain farm. 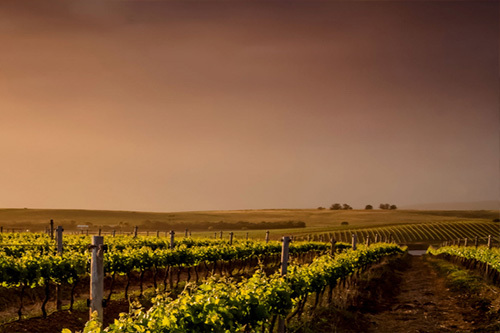 Skipskop Wines is a boutique Overberg winery, dating back to the planting of a block of petit verdot vineyards in 1999. 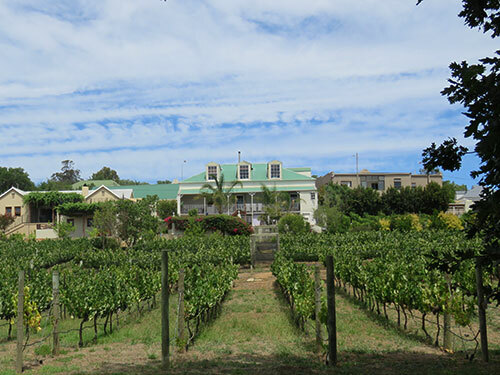 The vineyards were planted in the garden of a house overlooking the Klipdrit River in Napier. 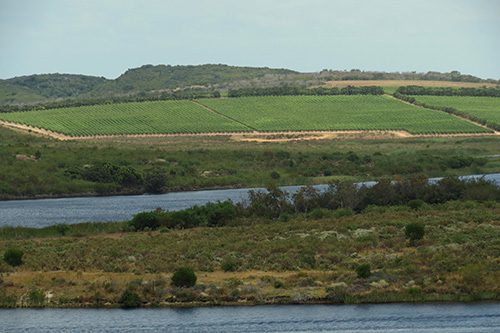 The vineyard expanded over the years; until 2012, when Skipskop wines officially launched. In that year, the old barn above the house was converted to a red wine cellar. A white wine cellar was added in 2014. 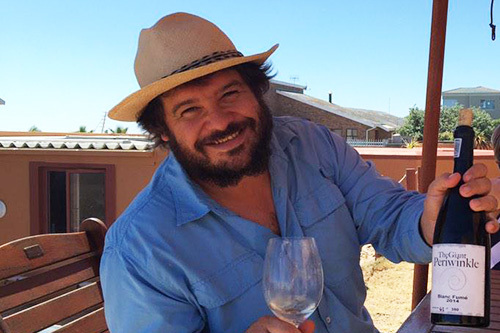 JD Wines was created by Jean Daneel, a winemaker with 35 harvests in his career as a winemaker. Jean and his wife Renee moved to Napier in 2004. And in 2006 he completed his first harvest in Napier. Today his son, Jean-Pierre serves as the winemaker, with the Signature labels now in his hands. 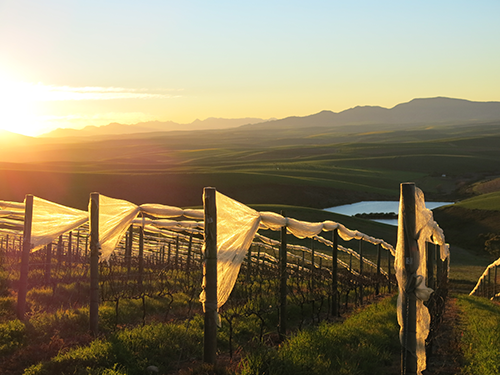 JD Wines is best known for its Chenin blanc, a constant 5 star John Platter award winner (and voted one of the top 100 best Chenin blancs globally in 2003).